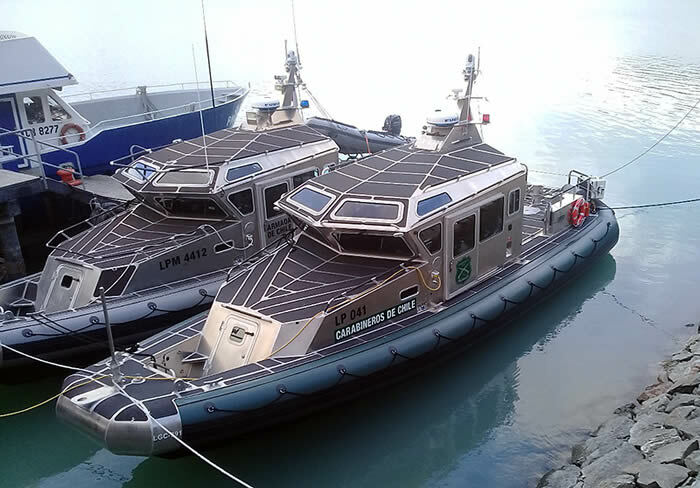 Barrett Communications have recently supplied High Frequency (HF) radio communications equipment for surveillance boats which operate in the remote and environmentally challenging Aysen región in the South of Chile. The Aysen región in Chile, is not only remote but also very complicated with lake systems, islands, mountains, rivers and extreme climatic conditions. The Barrett authorised dealer in this region, Skytel Telecommunicaciones are present in this area in many organisations that are critical to the community. These organisations include health care services, the aerodromes, the agricultural and livestock service, the national emergencies bureau and the uniformed police. The HF stations are used in offices, service vehicles, ambulances and also in surveillance and border patrol boats. The HF mobile station was tested under hard and real conditions and was able to establish good quality communications to the nearest port, the closest town, other stations within the same region, and the main station 1,700km away.